← What A Week ! The Little Fella and I were in Cranbrook early this morning for haircuts and there was an apple fair on. Unfortunately my camera was out of juice so no photos. 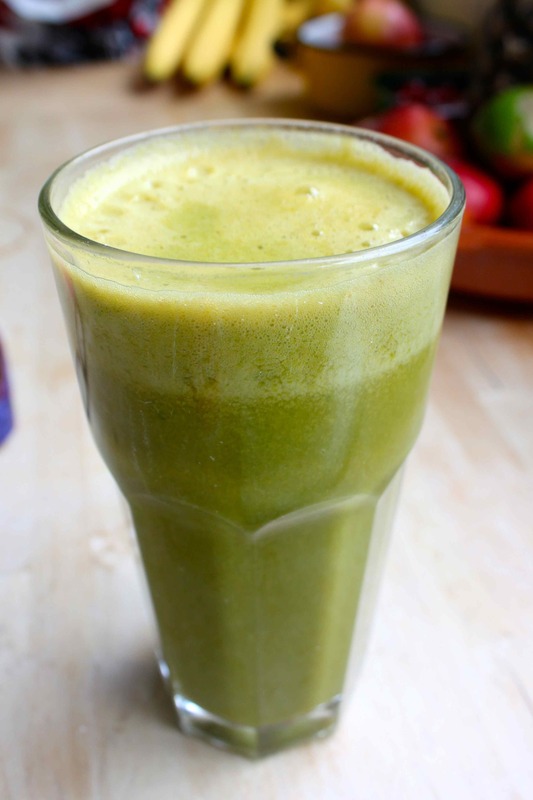 Back at home we had some fresh juice. Harvey opted for apple and ginger. 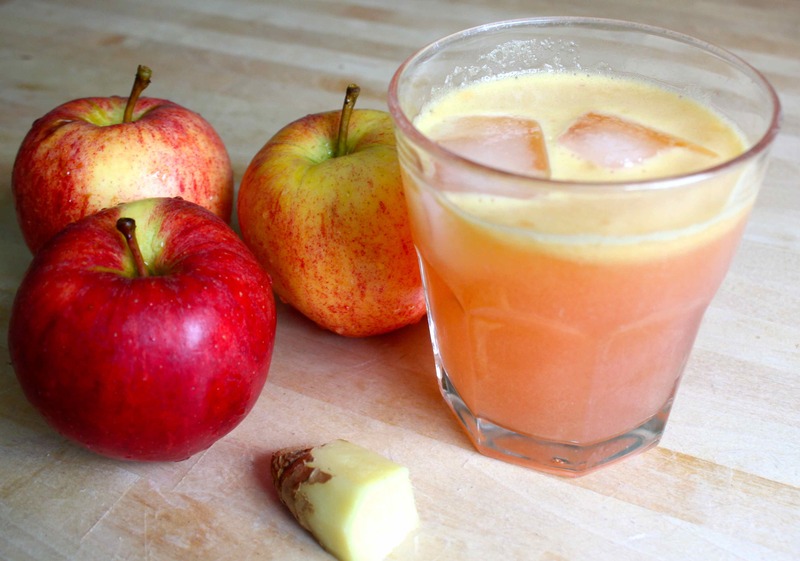 Three apples and some ginger produced a pretty pink juice. 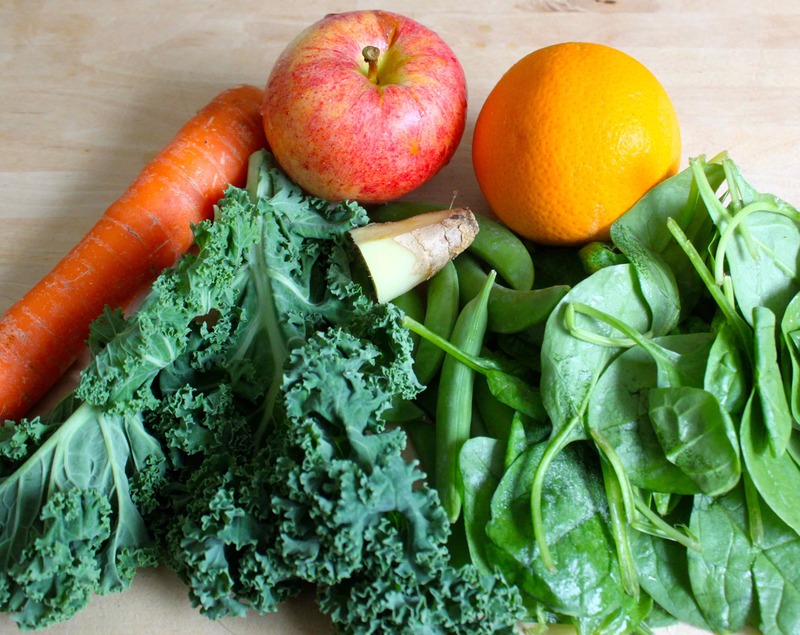 I went for a juice with more vegetables; carrot, kale, sugar snap peas, spinach, ginger, orange and apple. 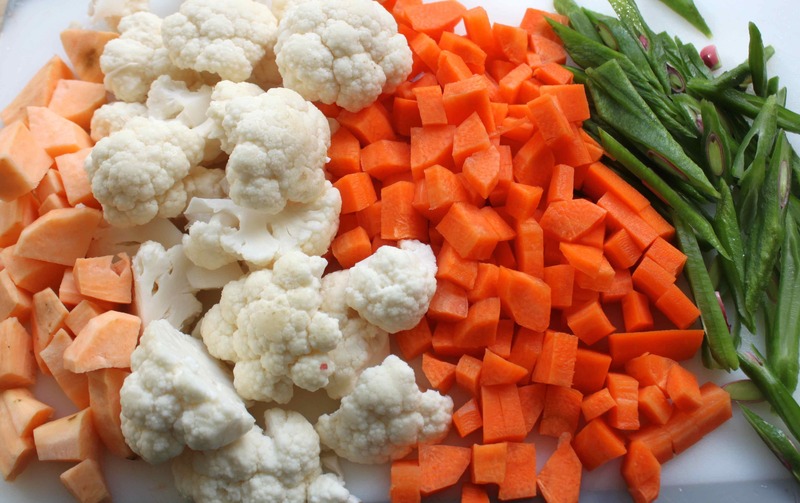 At lunch time I made a vegetable Korma with onion, runner beans, carrots, cauliflower and sweet potato. It was such a simple recipe. 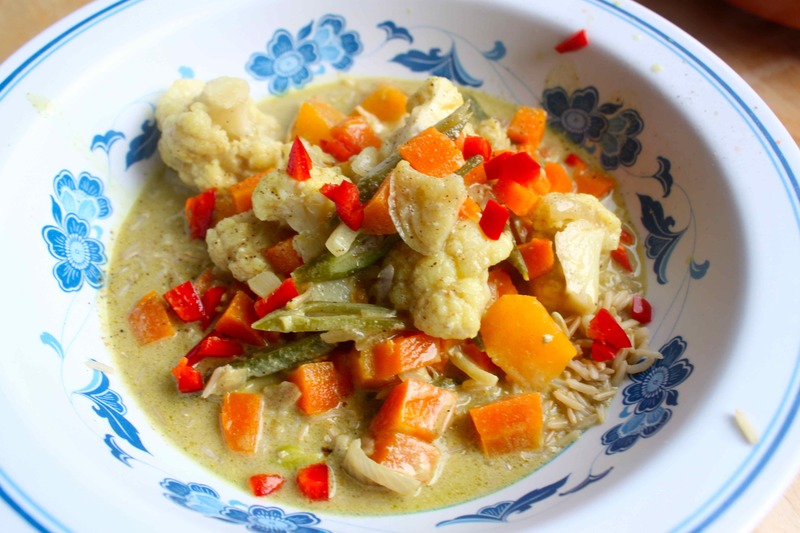 I fried the onion, added 1 heaped tsp curry powder, fried for another couple of minutes then added the vegetables and two tins of coconut milk. After about 10 – 15 minutes it was ready! This was so quick and easy. It was a Sarah Raven recipe and I served it with some red chilli and a little salt. 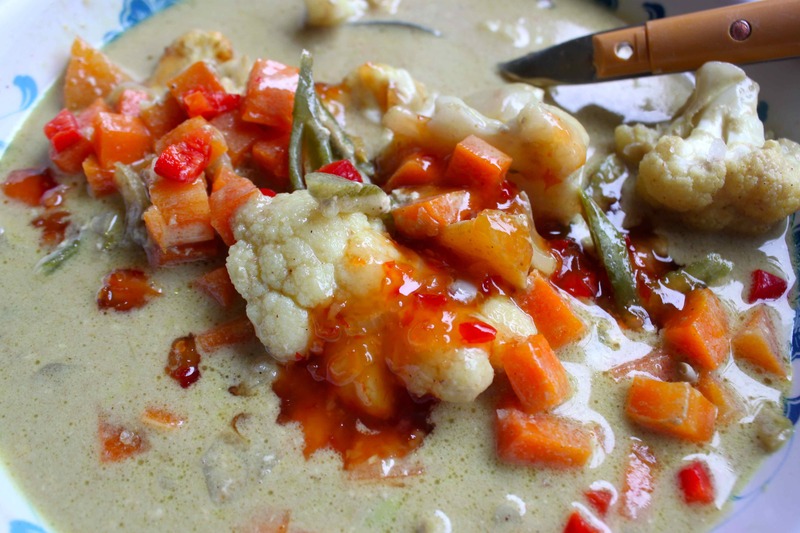 After tasting it I also added some sweet chilli sauce and it was delicious. I had two bowlfuls with brown basmati rice. For dinner I made something different. 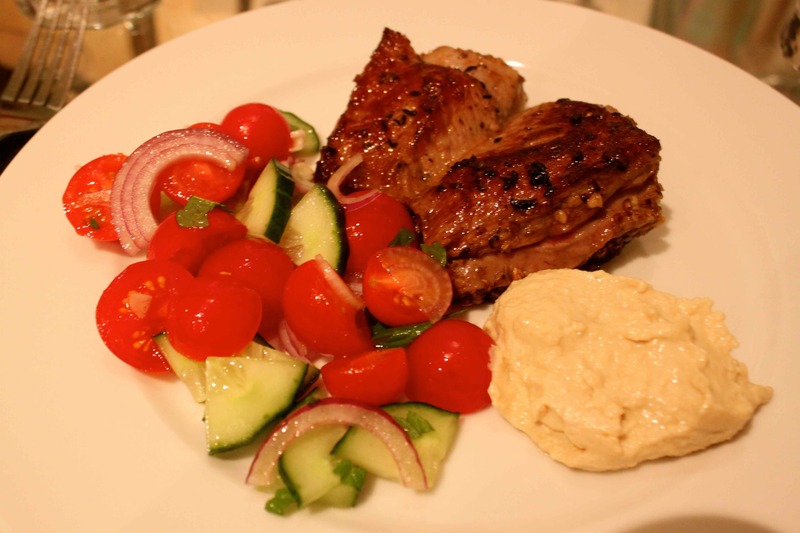 I had seen an Ottolenghi recipe for a lamb dish with a tomato, pomegranate and red onion salad served with hummous or Tahini. I couldn’t find the recipe so I looked various recipes up on line and had a go. 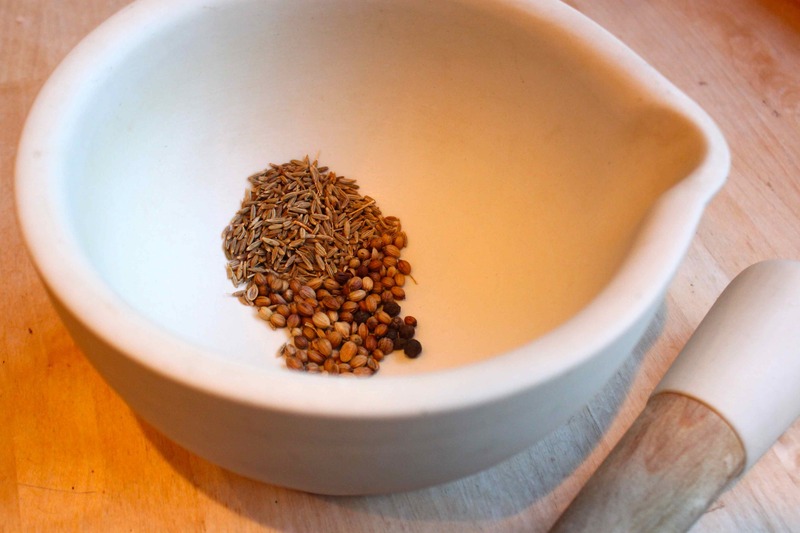 I ground up 1 heaped tsp cumin and coriander seeds with black peppercorns in the pestle and mortar. 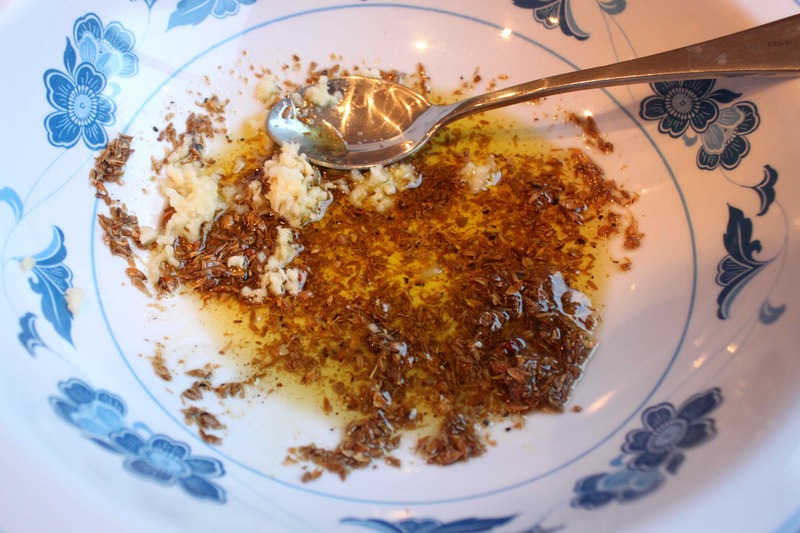 I added the spices to a bowl with oil and fresh garlic. 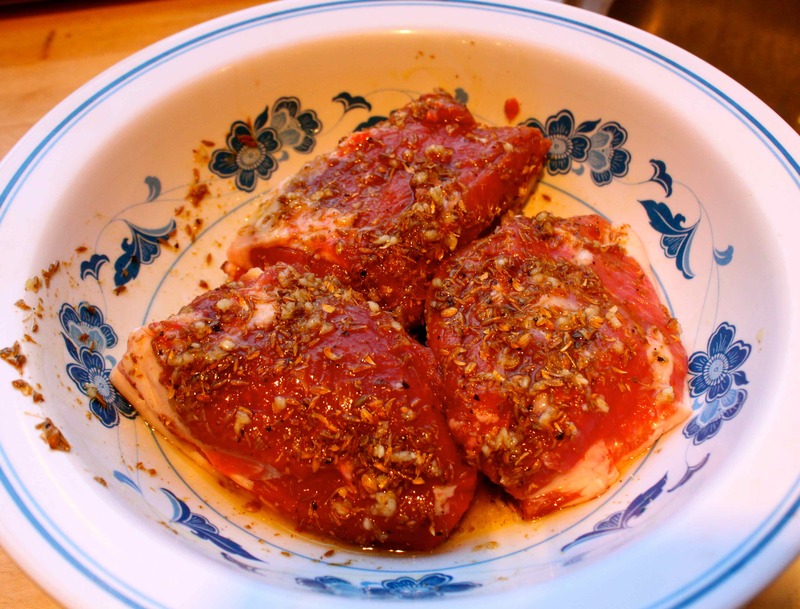 Placed the lamb steaks in to marinate for an hour or so. 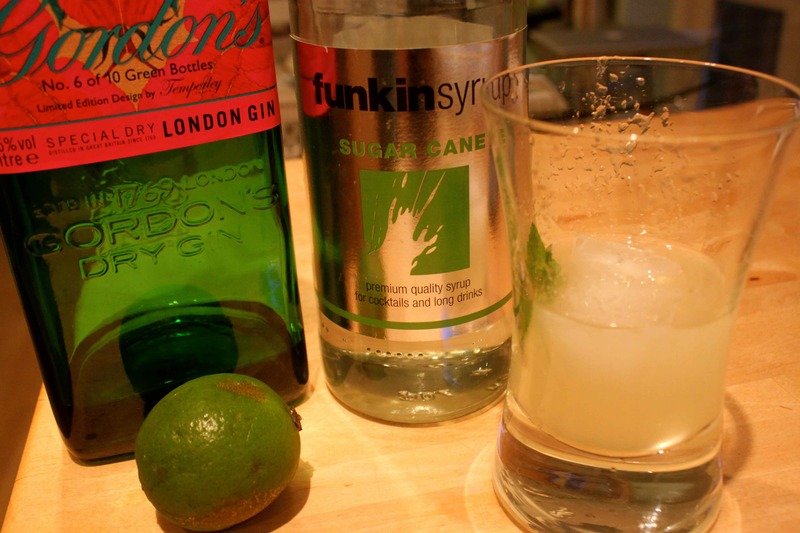 While they marinated I made a cheeky cocktail with 50 ml gin, 20 ml syrup and the juice of a lime. It was good! 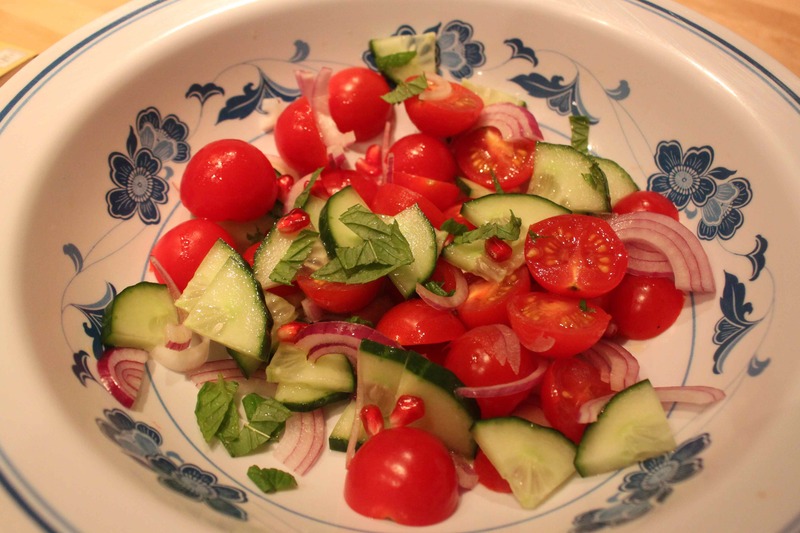 I made a salad with cherry tomatoes, red opinion, cucumber, pomegranate and fresh mint. Served with the lamb and a huge dollop of humous. It was very tasty. The lamb tasted really good and went particularly well with the garlicky humous and sweet pomegranate. So not a bad day of eating today. I didn’t do any exercise though and tomorrow I definitely need to go on a decent walk. This entry was posted in Recipe and tagged Apples, Lamb, Pomegranate, Vegetables. Bookmark the permalink.